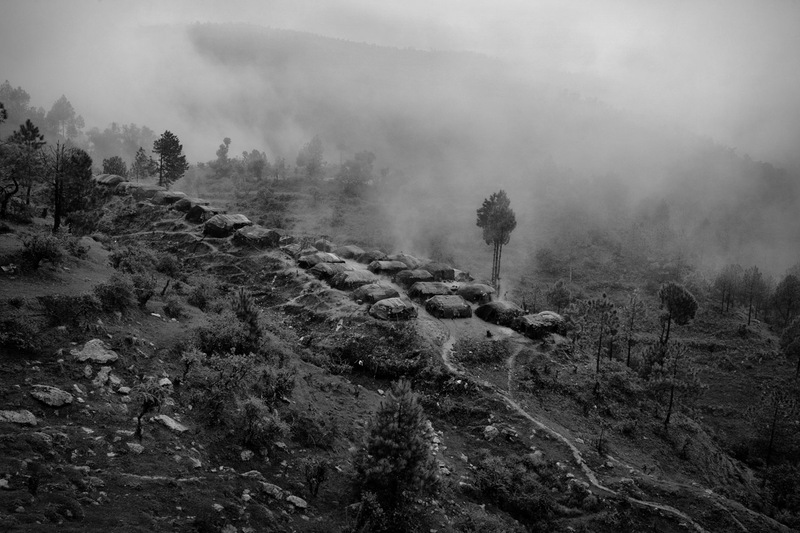 Conflict stinks in the middle of this jungle of western Nepal. While people suspect that their newly appointed leader, Mayeen Bahadur Shahi, may be deceiving them, by keeping their shares of allowances given by the government, the leaders insists he would not betray anyone. 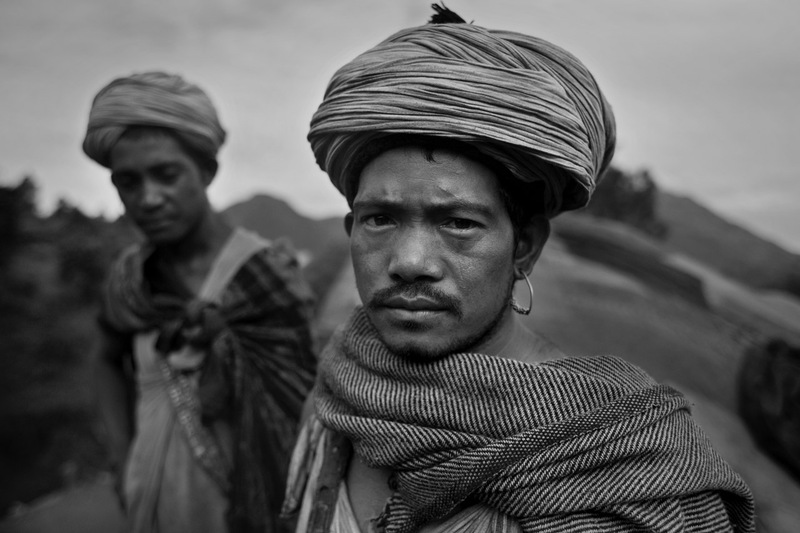 The tensions, amid the distrust, are all about the community’s slowly diminishing faith over leadership – a traditionally unwavering allegiance that is a characteristics feature of the Raute, one of the few remaining nomadic hunting peoples in this otherwise materialistic world. “I am the leader of the group. Whatever my people have is all mine,” Shahi says, arranging his grubby white turban. He was elected the new leader of the community two years back. His predecessor, Ayin Bahadur Shahi, was ousted from the position after he was charged with embezzling NPR 40,000 (about $500). Money is at the root of the Raute community’s troubles. Accustomed to life in an all but extinct hunting-gathering era, far removed from the modern philosophies of economics bound by currencies, the Raute were detached from the concept of money up until a few years ago. 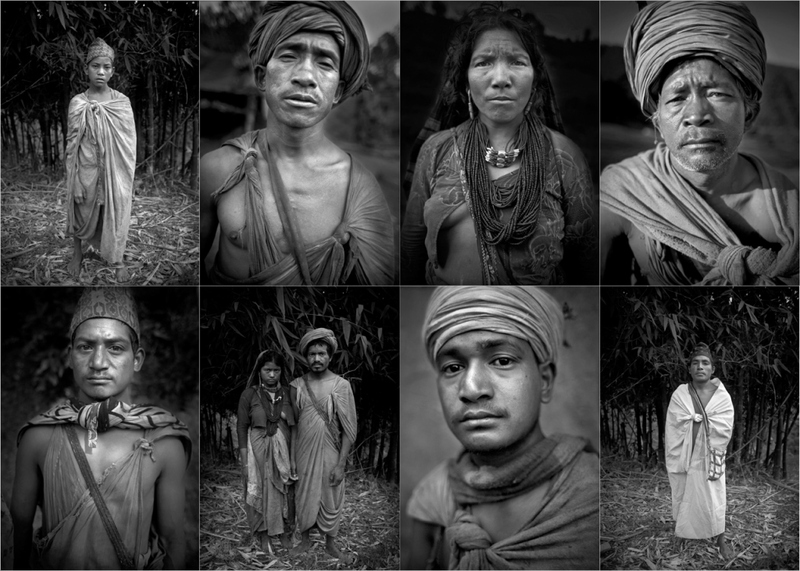 But after the government decided to give the Raute an allowance three years ago, these hunting nomads, who once moved from jungle to jungle through the western part of Nepal, are now struggling to preserve their original way of life. With some of their fundamental traditions already starting to be erased, the nomadic Raute community, with a total population of just 128, is now on the verge of extinction. The Raute, who consider themselves “kings of the forest”, had a sense of pride over their detachment with communal society. They never compared themselves with common folk. Instead, they thought of people outside their community as “money-using aliens”. In this regard, it is disheartening to see how these non-materialistic nomads have now become enchanted by money and their unique values gradually being lost. One of the practices key to the Raute’s traditional lifestgyle is hunting. Monkeys and baboons found in the jungle are their favorite fare. The tribes-people consider the primates gifts from God – and all other animals to be food for the people outside their community. While the Raute also consider activities like farming and rearing animals sinful, trade with villagers from nearby communities is permitted – even if it’s conducted in an unusual manner. Traditionally, the Raute would make wooden utensils from trees and exchange them with villagers for food and grains. One astounding aspect of this form of barter is that those involved in the transaction would never interact verbally. Wooden utensils would simply be left at the respective houses in the village, and the villagers, understanding the cultural traditions of the Raute, would in turn fill the utensils with food. The following day, at the same time, members of the tribe would return, retrieve the food and leave the utensils behind. 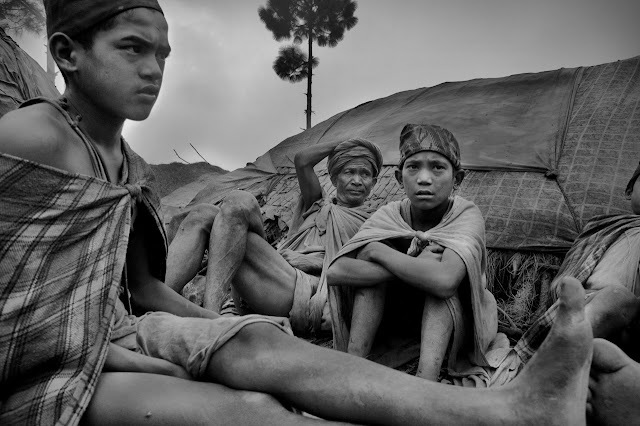 Customarily, the Raute would live in temporary huts, locally called a rautee, built of leaves and roots. A settlement in any one place would last from around three days to one month. Typically, these nomadic people would seek out a new location in the jungle either when somebody died in the community or when the local population of monkeys, their source of protein, was depleted. However, things are not the same anymore. What has been viewed by many as one of the government’s most “immature” decision, the system of giving money – NPR 1,000 per month per Raute – has injected materialism into the community. The ground beneath their unique lifestyle is already shaky, with Raute interest in hunting slowly dying out. Even the exchanges of food and wooden utensils have begun to be replaced by money. The trigger event behind the gradual inclination of the Raute towards money actually goes back about four decades, when the government introduced a community forest policy. The enforcement of this policy made it difficult for the Raute to hunt, migrate and settle freely as they had been doing for generations. In 1971 (or 2028 BS – Bikram Sambat in the Nepali calendar, which is approximately 56 years and 8 and half months ahead of Gregorian calendar), during King Mahendra’s royal visit to western Nepal, however, the Raute had an audience with him to discuss on this law, and soon after, they received a formal letter maintaining a special provision stating that their traditions and activities in the jungle could not be restricted in any way. Despite the tumultuous political events in Nepal since then, the Raute have rigidly stuck to the former king’s pronouncement. Despite any new law thereafter, they still claim the king’s nod to be valid, ignoring the new republic status of the country. However, over time, the Raute, faced with growing impacts on their traditional forest hunting grounds, approached the prime minister’s office three years ago. It was then the decision was taken to provide the tribe’s members with a monthly allowance. Thirty-two-year old tribe member Ram Bahadur Shahi feels he got to know the real value of money only after seeing it in the form of an allowance. “It feels amazing to exchange money for goods,” he says, raising his eyebrows excitedly. On the government’s decision to provide “incentives” to the Raute people, Dr Luitel asserts that killing the unique features of a community by offering such a stimulus has no logical basis. Money may not quite be the root of all evil, but in the jungles of Nepal it has left an indelible mark on one of the country’s most unique communities. According to Mayeen Bahadur Shahi, the current Raute leader, a Raute’s place of origin is the Furkot region of Achham, a remote district in western Nepal. 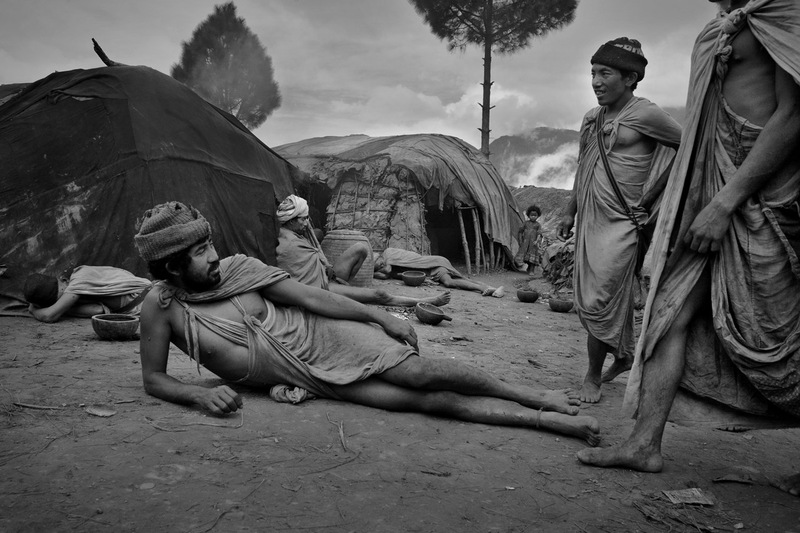 However, similar kinds of nomadic communities have been discovered in various parts of India as well. 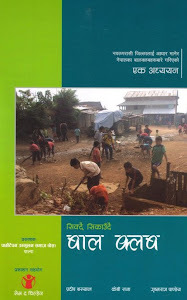 Research conducted by Dr Luitel points out there that the Indian Bihor community in Nagpur, Maharashtra, also practices a similar nomadic life to the Nepali Raute. At one time, another community called the Rautiya also existed in Nagpur. The similarities in the spoken languages of the Rautiya of Nagpur and the Raute of Nepal hint at some sort of connection. However, no evidence has yet been found to prove the link. Another extinct nomadic group called the Khamti in Assam, northern India, also seems to have some relation with Khamchi, a language spoken by the Raute in Nepal. It is hard to say whether the Raute originate from Nepal or weather they are just a separate branch of a larger group of nomads that once lived and are still living in several parts of South Asia. Splendid ! Splendid !! Splendid !! !